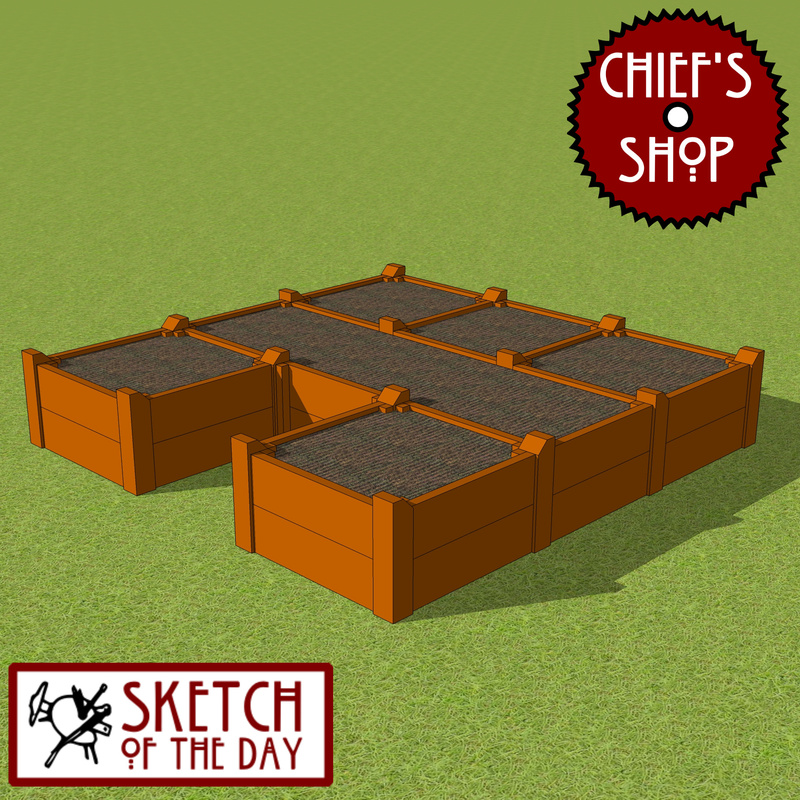 A modular garden bed design concept. The opening on the front side allows access to the center bed. The small beds are 2 feet by 2 feet.